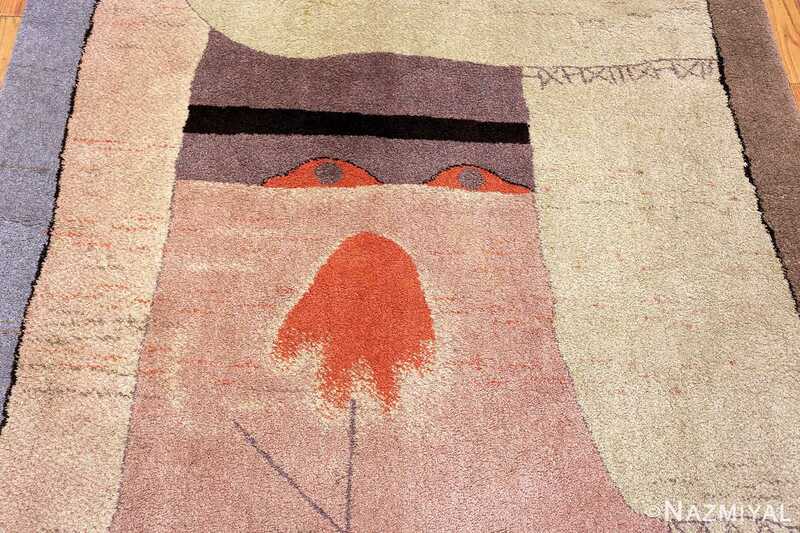 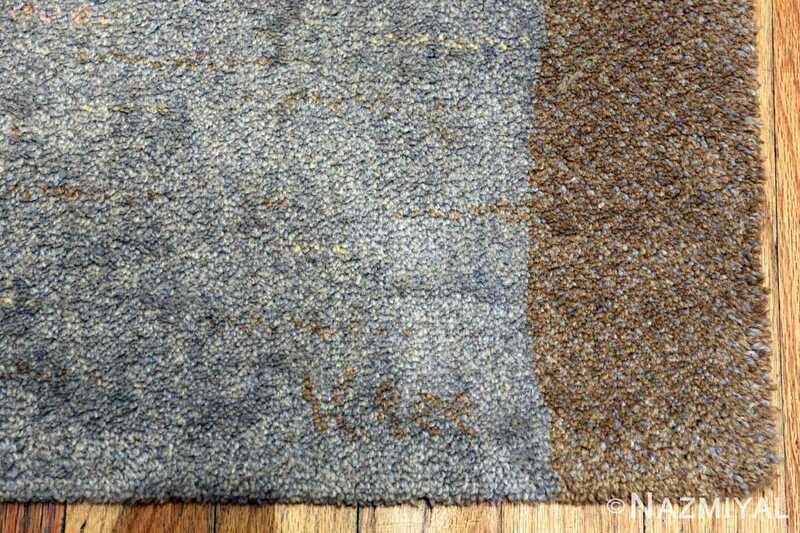 Breathtakingly Artistic Vintage Scandinavian Ege Art Line Paul Klee Arab Song Rug , Country of Origin / Rug Type: Denmark, Circa Date: 1994 – This exquisite art rug combines two mid 20th century icons – the artist Paul Klee and the Danish Ege Art Line rugs manufactory. 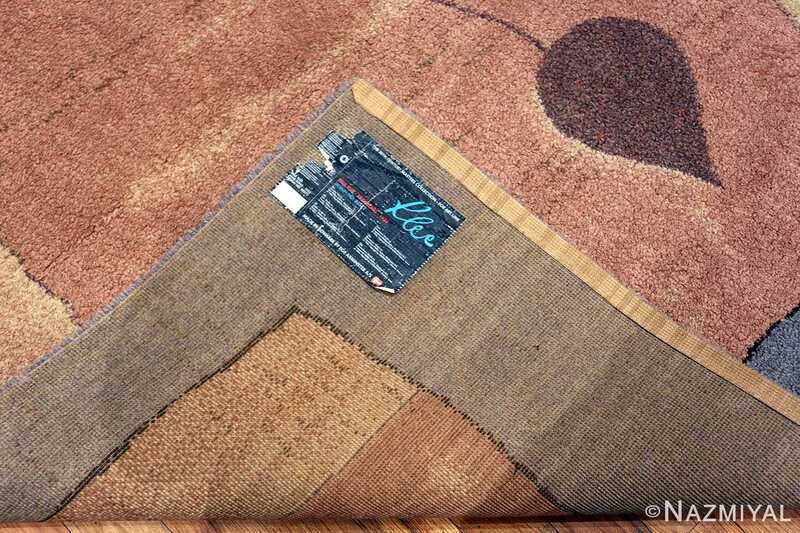 The Danish Ege rug maker is known for their beautiful recreations of some of the most iconic pop art works, among other iconic modern art artists. 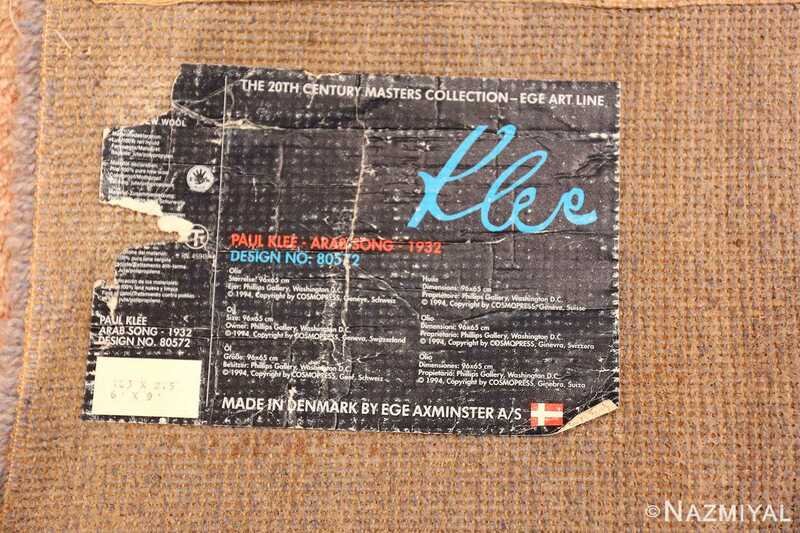 Paul Klee was an expressionist artist who produced his work between 1919 and 1940. 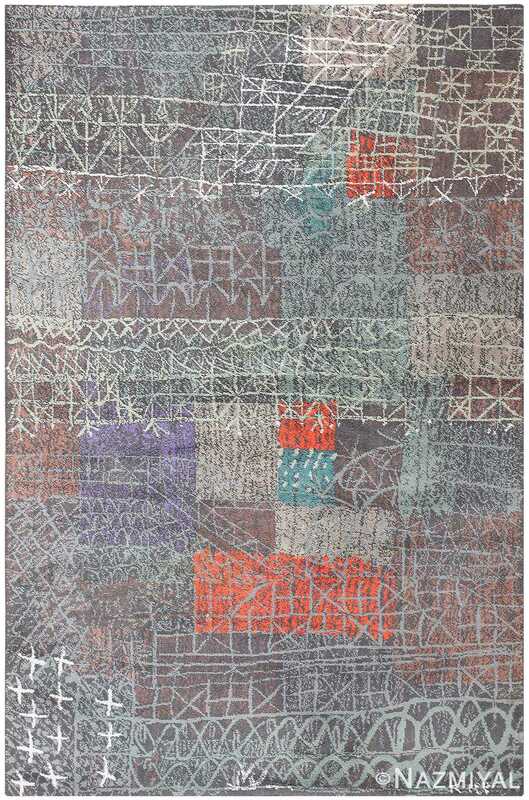 His work was known for breaking traditional boundaries and breaking the formal rules of academic art. 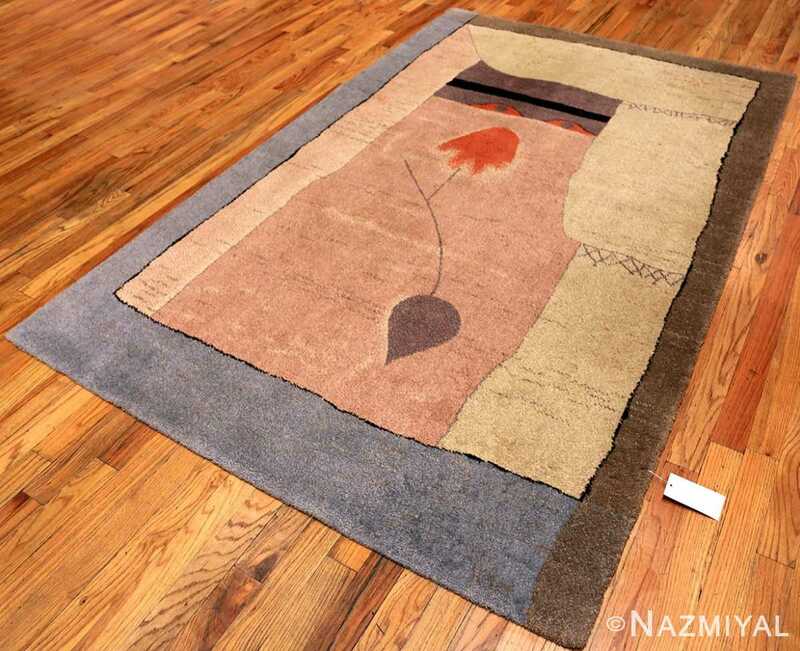 The original rug design of this piece was produced in 1932 and titled “Arab Song”. 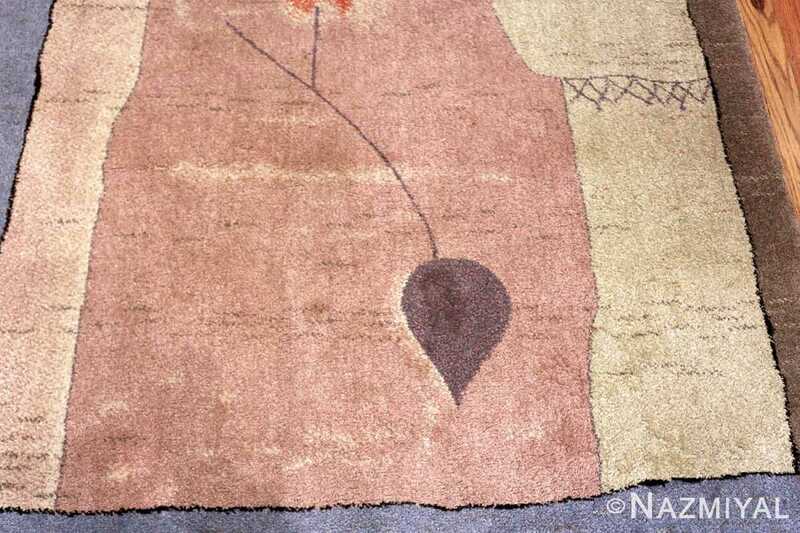 In this breathtaking vintage rug, Klee clearly wished to express his travel experiences by using the local colors that he found during the journey. 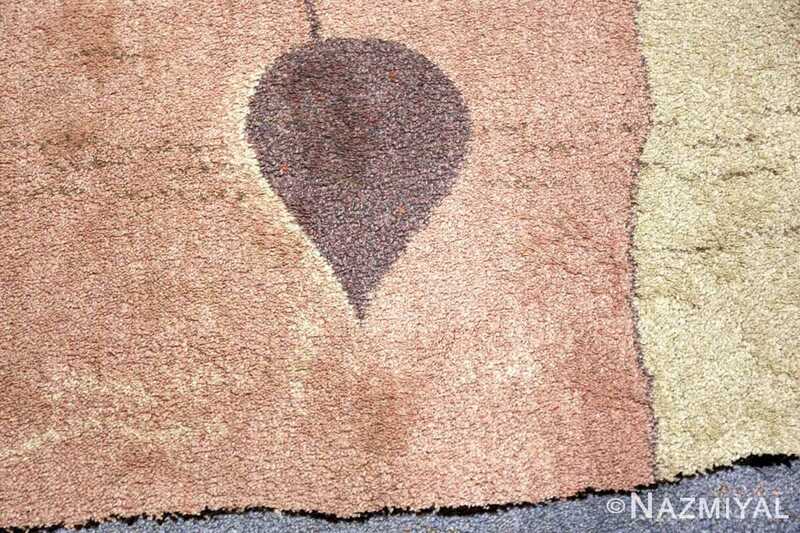 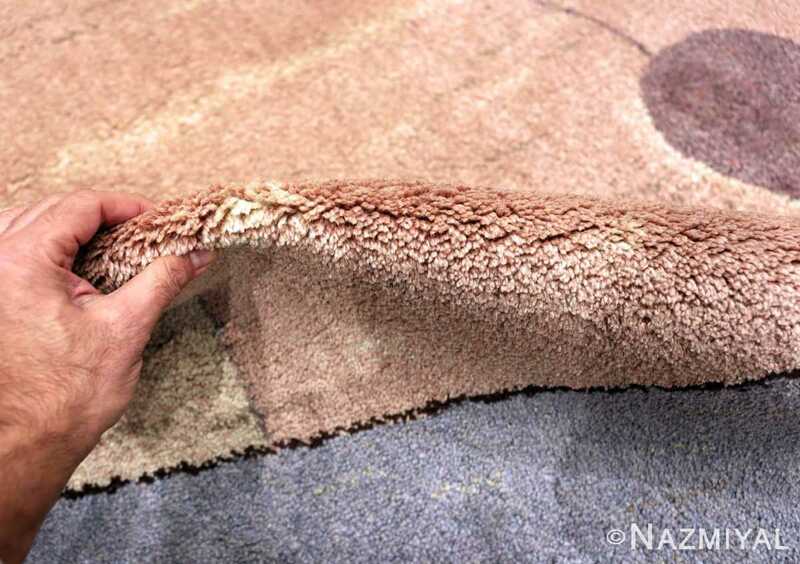 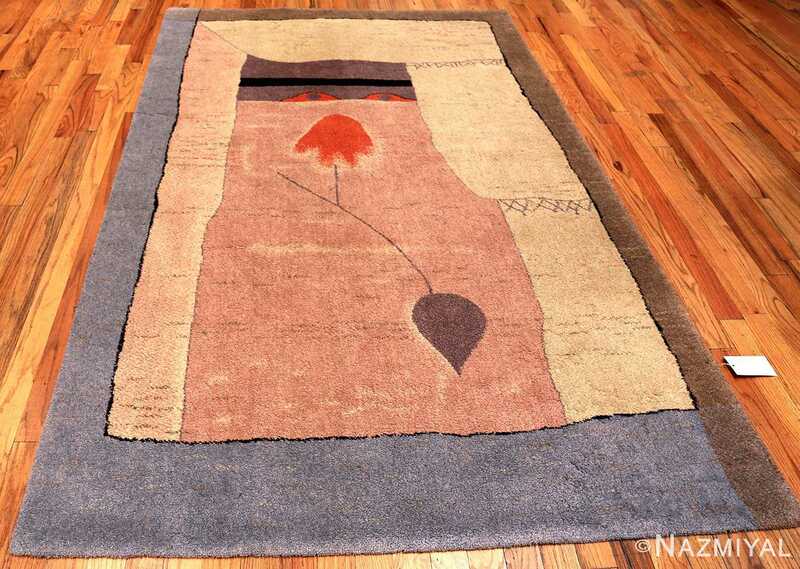 This beautiful Paul Klee Arab Song rug you will find colors reminiscent of the shifting desert sands, dust faded clothing, the hot sun, a fully covered veiled woman, and exotic plant life. It is an expression of the artist’s representation of Egyptian desert with its simple geometry and colors. 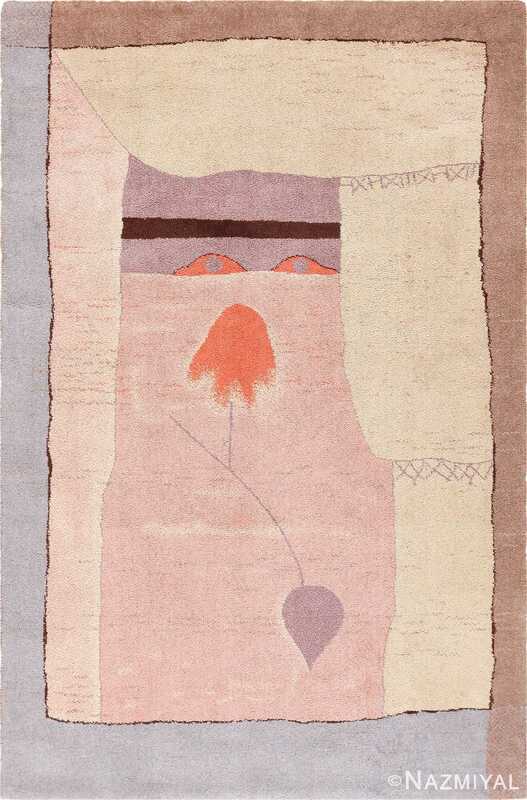 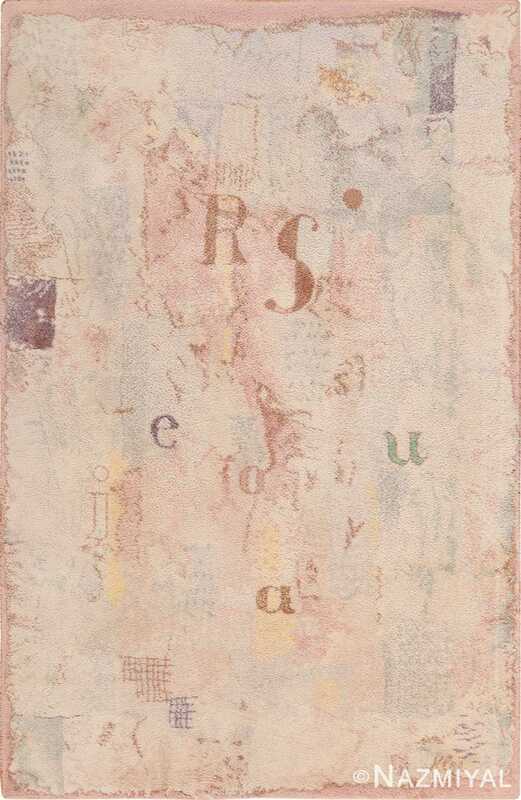 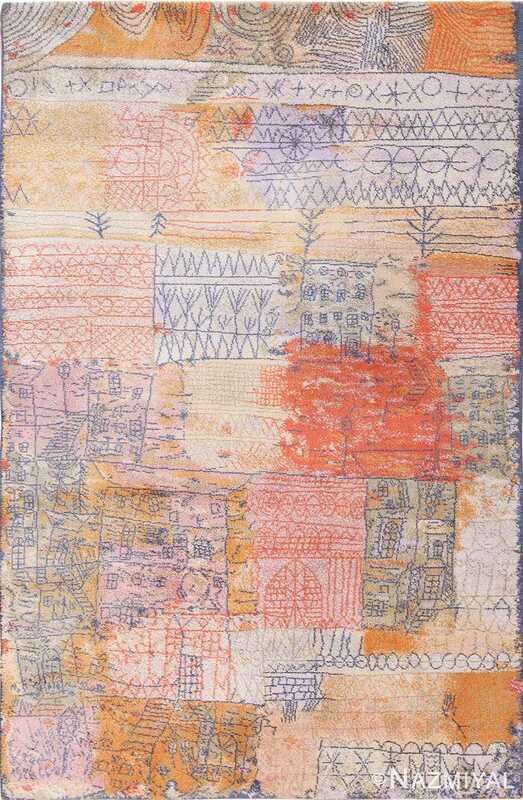 Arab Song has a connection to the sounds and music that Klee wished to express through the use of color and form. One can almost feel the hot desert sun, and see the desert sands shifting in front of their eyes. 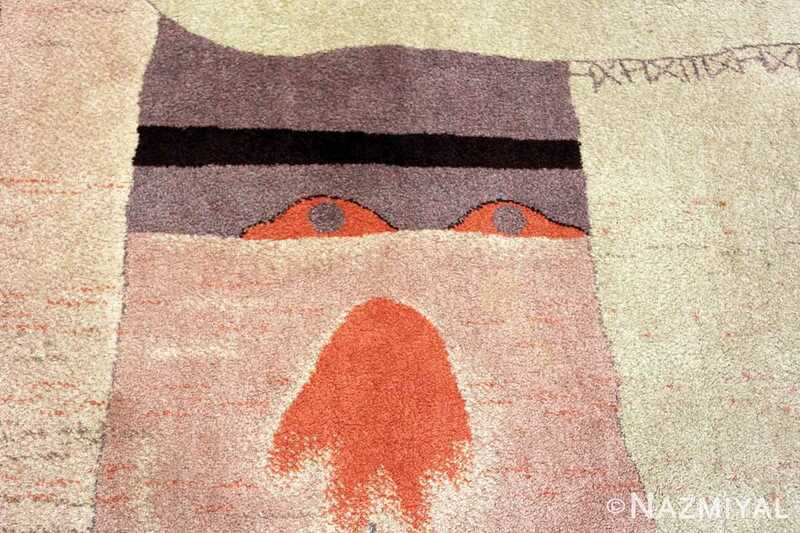 Two mysterious eyes peer out a curtained window from behind a veil in a beautiful subtly romantic expression. 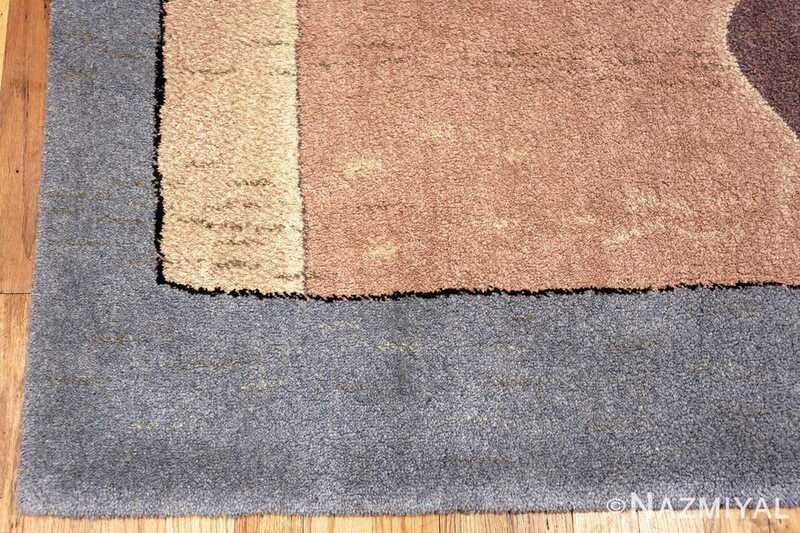 The vintage Scandinavian rug is beautifully simplistic, but has complex meaning woven into it. This highly artistic Paul Klee Arab Song rug could easily be used as a beautiful decorative rug or as a Tapestry rug and would make the perfect complementary piece to any home’s interior decor room.